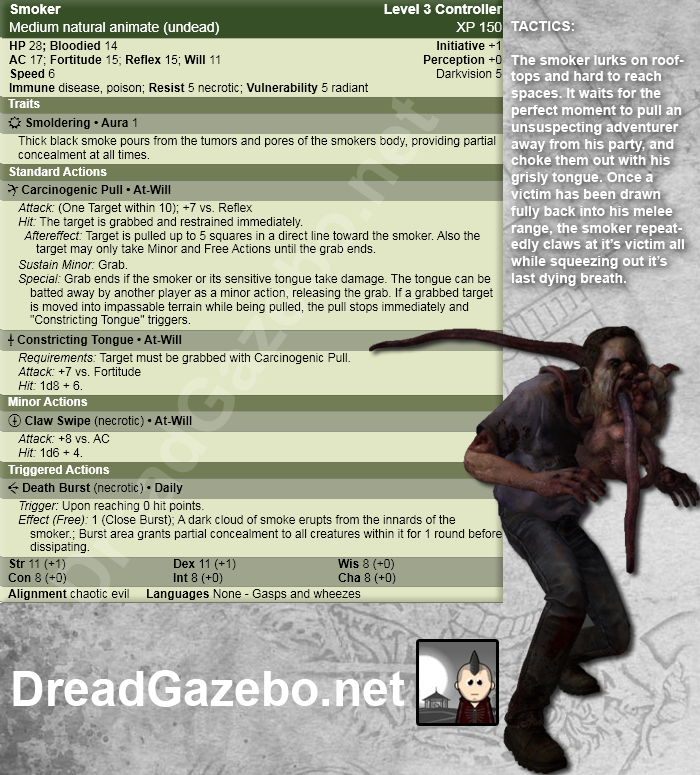 As promised I present to you another undead atrocity straight from Left 4 Dead and into your D&D world, the Smoker. For those of you who are unaware of what he is he’s basically a lurker / controller who singles out his prey and pulls them away from the safety of his comrades all while choking them to death. I’d love to write more but he prettymuch explains himself, for a little flavor look up some vids on you tube. Enjoy! I’m really liking these as a Left 4 Dead fan. I love the Death Burst you added. Awesome! Glad to hear it, thanks! And thanks for commenting and dropping by!